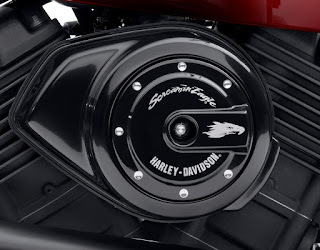 MILWAUKEE - Harley-Davidson Street® motorcycles inspire personalization. Delivered with a full dose of Dark Custom™ attitude, the Street is a blank page of American steel ready for every rider to fill in. 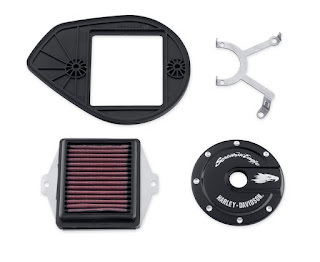 And to get that project started, Harley-Davidson® Genuine Motor Parts & Accessories offers a wide array of accessories that enhance the style, fit, function and performance of the Street 500 and 750 models. 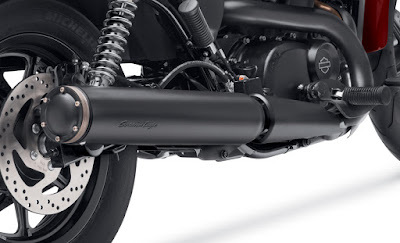 How far a rider takes a Harley-Davidson Street model is limited only by personal desire and imagination. For inspiration on customizing a Harley-Davidson motorcycle and to see the creative talent from authorized Harley-Davidson dealers, check out the Street motorcycles they are creating to be the Custom King of the United States. Follow along on Instagram to see the latest entries for the contest. 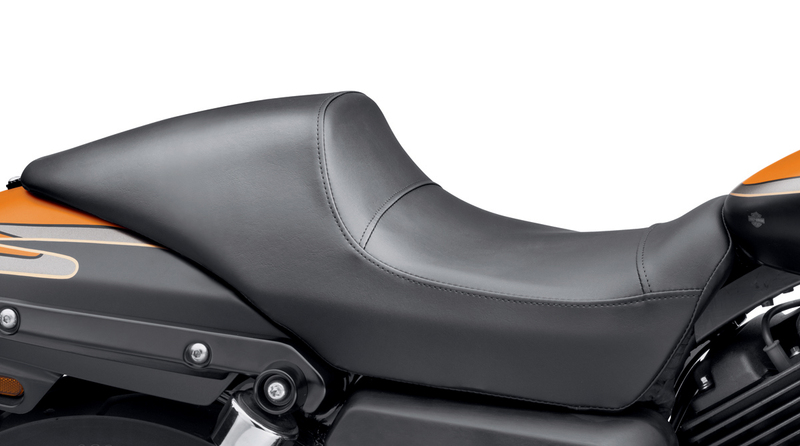 Performance accessories for the Street motorcycle start with the Screamin’ Eagle® Nightstick Slip-On Muffler (P/N 64900220, $349.95). 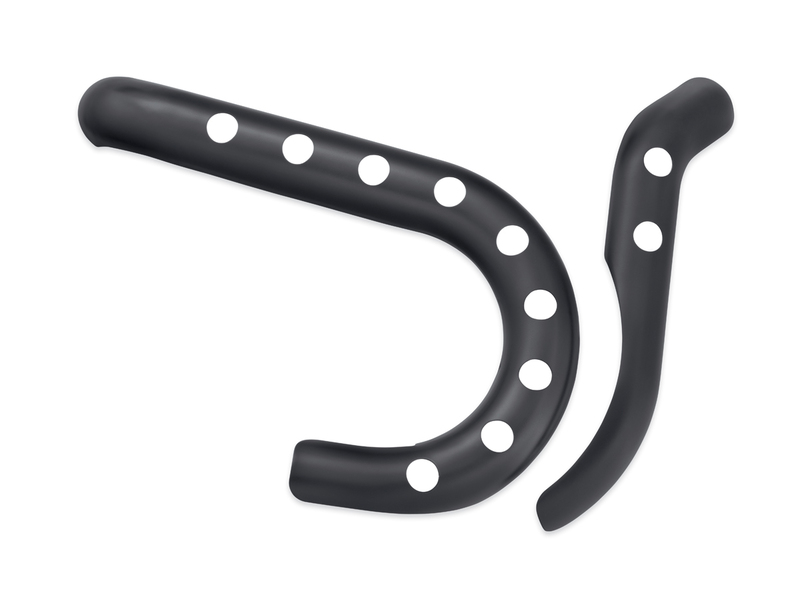 Featuring a high-flow design with external stainless steel diffusion discs and a domed end cap, the Nightstick muffler produces a fatter engine torque curve than the Original Equipment exhaust for stronger acceleration away from lights and a mid-range power boost that will leave slow-moving traffic in the rear-view mirror. Complete the exhaust system with a jet black Screamin’ Eagle Buckshot Exhaust Shield Kit (P/N 65400167, $149.95) with front and rear shields perforated to expose the head pipes for a tough, high-performance look. Help pack more air into the Street Revolution X™ powertrain with the Screamin’ Eagle Performance Air Cleaner Kit (P/N 29400197, $79.95). It has a washable high-flow, oiled cotton media element that fits under the Original Equipment air cleaner shell. The kit also includes a Screamin’ Eagle air cleaner medallion and all required hardware. Roll on a storm of style with Typhoon Custom Wheels in machined Cut Back Black (P/N 43300351 front, P/N 40900358 rear; $459.95 each) or Mirror Chrome (P/N 43300350 front, P/N 40900359 rear; $559.95 each). 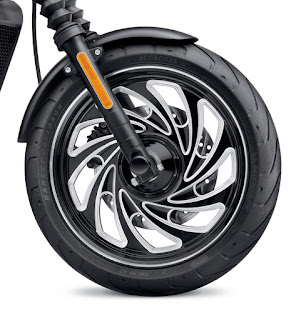 Each wheel features nine arching spokes that spin outward from the hub and blend seamlessly with the rim to add forward motion, even while standing still. All Harley-Davidson custom wheels undergo hundreds of hours of real-world testing to meet the highest standards of performance and durability. Installation requires separate purchase of model-specific Wheel Installation Kit, Sprocket hardware and Brake Rotor hardware. slung pad and narrow nose provide a more direct connection to the motorcycle.